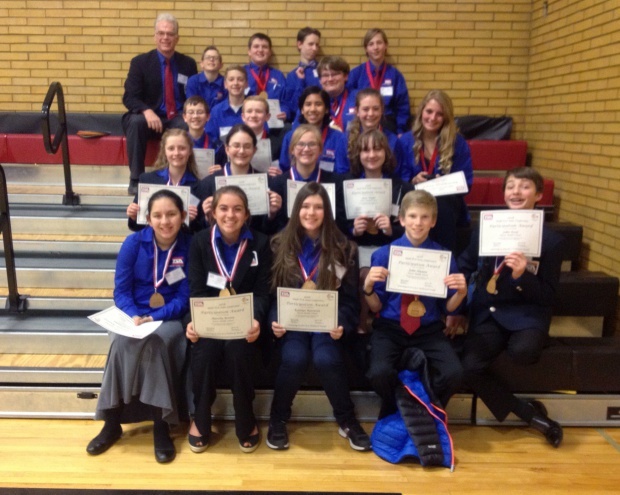 Our Dixon panthers did an amazing job at the State TSA (Technology Student Association) Conference that took place on March 15 in Kaysville. 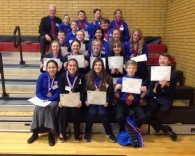 Twenty students represented Dixon at the conference, and they walked away with 19 first place awards, 17 second place awards and 11 third place awards. 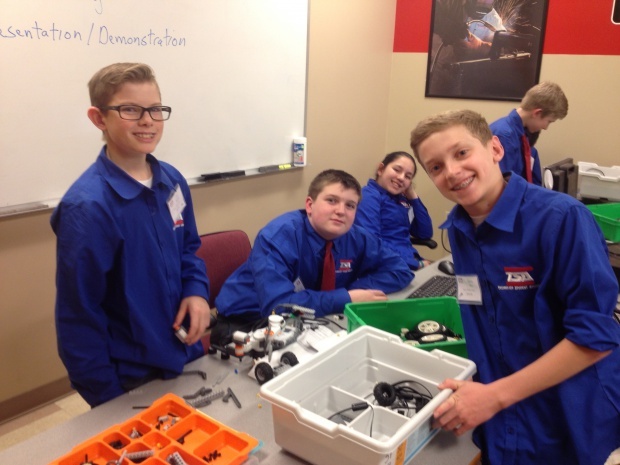 Charles Wardle, our CCA Technology teacher who organizes our TSA events, says that our students really worked hard this year getting ready for the conference, often staying after school and even coming in on Saturdays sometimes. He’s very proud of the group of students he works with and their successes! The Dixon Chapter team won first with Kaitlyn Rasmussen, Jane Wight, Hallie Gee, Mckennen Call, Kaitlyn Gates, and John Reid. 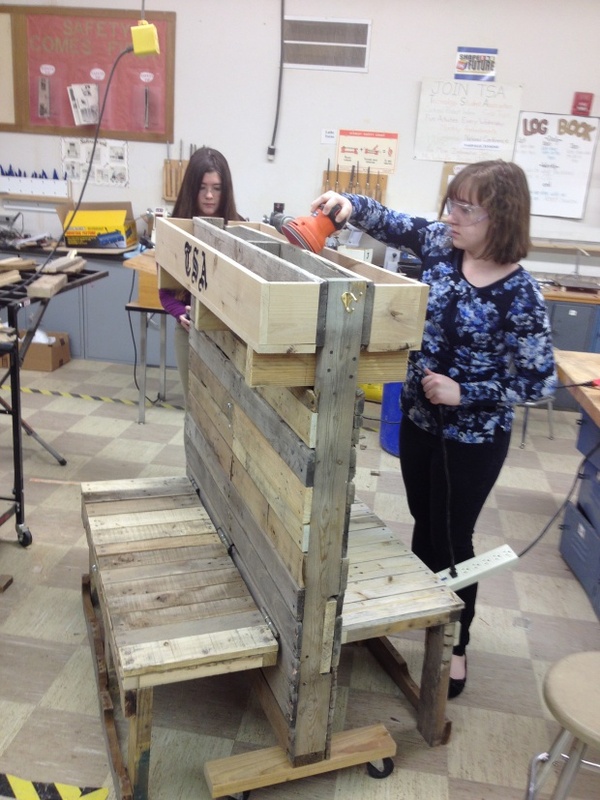 Construction Challenge (with their entry of a portable garden): Libby Baily, Zada Scott, Eric Fish, Scott Anderson, John Hunter, and Jared Eberhard. Inventions/Innovation: Team of Hallie Gee, Kaitlyn Rasmussen, McKennen Call, Aurelia Brown, and Kaitlyn Gates. Problem Solving: Rebekah Quintana and Aurelia Brown. Building the portable garden that one first place. Children Stories: Team of Kaitlyn Gates, Hallie Gee, Kaitlyn Rasmussen, and McKennen Call. Mass Production: Team of Libby Baily, Zada Scott Eric Fish, Jared Eberhard Jared Scott. Technical Design: John Hunter and Eric Fish. Leadership Presentation: Kaitlyn Rasmussen, Jane Wight, and Hallie Gee. Challenging Technology Issues: Jane Wight and John Reid. Forensic Technology: Kaitlyn Gates and Zada Scott. Medical Technology: Jane Wight and Eric Coffman. 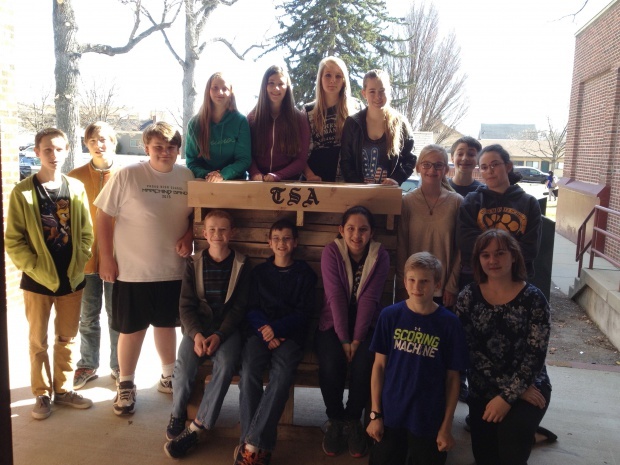 TSA students in front of their portable garden. Dixon has twelve students eligible to represent Dixon at the National TSA Conference this summer in Nashville Tennessee. Excellent work, panthers!